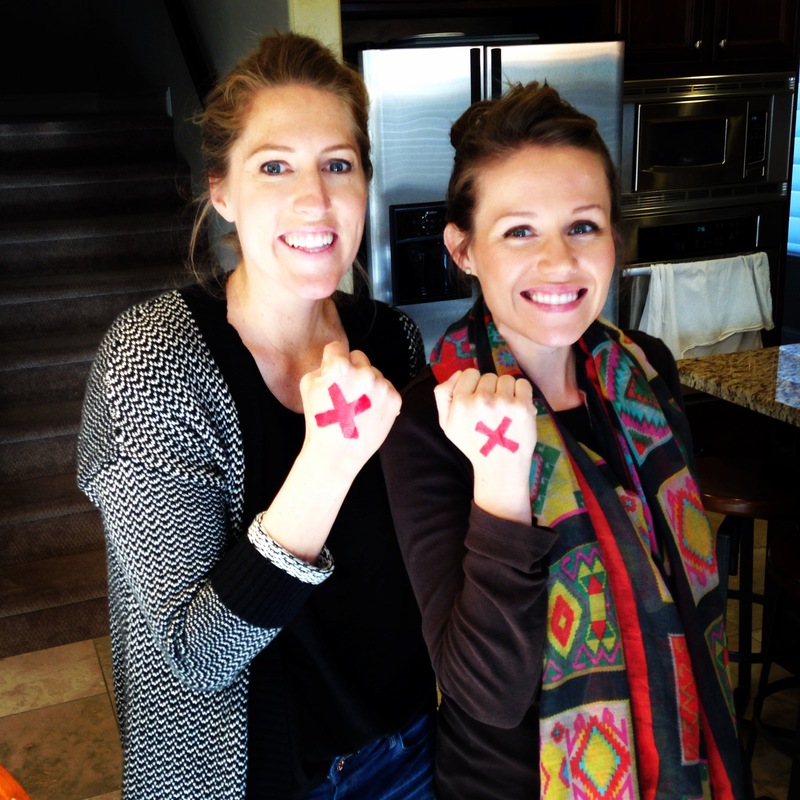 My sister-in-law was brave and marked her hand with a red X along with me to bring awareness to others about human trafficking. I say brave, because she was the one going out in public this afternoon and had to answer the tons of people who asked, “Hey, what’s that X on your hand mean?” Since she’s afraid of nothing, she shared with others about what is actually going on in the world, and what we can do to help. I get that it’s a small thing to put an X on your hand for one day. I get that it’s not very hard to pose in a picture and than share it on facebook and instagram. However, it’s not a small thing to pray for change. To pray that the Lord would rush in and rescue. God is a God of rescue, that is his very name, savior. This word picture is a dry gulch, like a deep cavern, where water once used to flow. It now is essentially completely dry and full of muck, you can almost hear the vultures flying above. Insects hover above the muck, and it stinks. This is human trafficking in God’s sight. A far distance upstream, water is forming. Not in an of this world, natural way, but in a miraculous parting the seas kind of way. Each one of God’s saints (the church), is a drop of water that will all at once, without any warning, wash through and restore the gulch to fresh flowing waters, where life is once again. Rescue is coming. This part of the word picture also has a sound, it is the sound of very powerful, rushing waters. This water comes fast and powerful, is is a powerful force that will take out whatever stands in it’s way. If people are in the gulch, playing in the muck, they will be wiped out. They don’t stand a chance. Fresh water will flow here again. The prayers and actions of God’s people are rushing water to clean out human trafficking. The prayers of His saints. That is why I am sharing this, that is why I marked my hand, because the PRAYERS OF THE SAINTS MATTER. 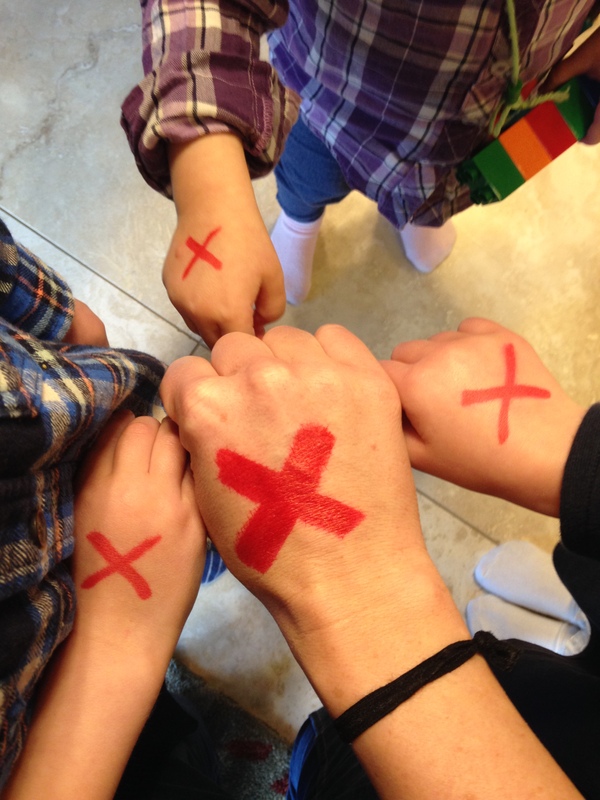 It is God’s will to put an end to human trafficking. Here is the other strangest part of this word, it happened a day or two later after I received the first word. My son who is 3, often says he dreams of Jesus in his sleep, sometimes they play trains, sometimes they see animals, but often he speaks of Jesus in his dreams. Of course I love this and am always delighted when he dreams of hanging out with Jesus and praying for me while he sleeps. So, the other day he says to me, “Mommy, I dream of Jesus”. Of course I’m like, “Oh, that’s so precious, my son is so special.” you know, silly mom thoughts. Initially, I was shocked at why my son would say any of this. We shield him from everything. Then I felt like God quickly reminded me of what He had said to me the night prior randomly in the car, “what these men are doing to these children, they are doing me”. So I thought, what if this is a confirmation of what God had spoken to me earlier? It matches the word picture he had just given me. The kids wanted to join me. All they can really say right now about why we put X’s on our hand is that, “slavery is bad”, but in prayer, that’s more than enough. Rescue is coming. The prayers of the saints will ignite God’s full power to do more than we can even hope or imagine. Jesus longs to rescue these children, these women and men who are trapped in slavery. And HE WILL rescue them. Please join me in prayer.